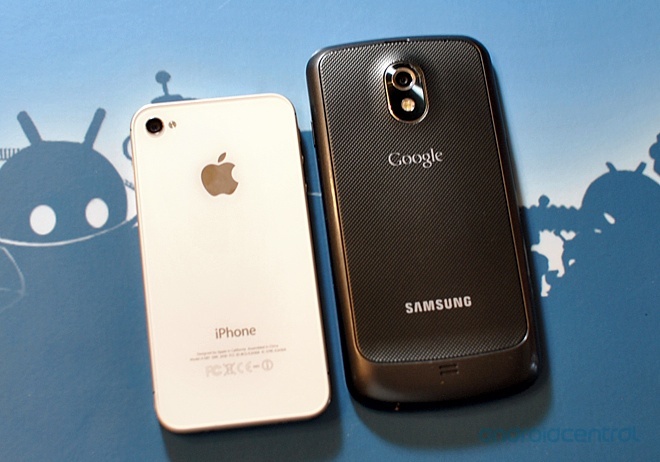 The Apple v. Samsung trial has unearthed a Samsung study that identified eight cities where the iPhone had a significant lead over Samsung devices in 2010, AllThingsD reports. The analysis found Apple to have a 17.5 percent lead on Samsung Mobile in the target markets prior to the launch of the Galaxy phone. The eight cities were San Francisco, Los Angeles, Philadelphia, Chicago, Washington DC, Dallas-Fort Worth, New York and Boston. 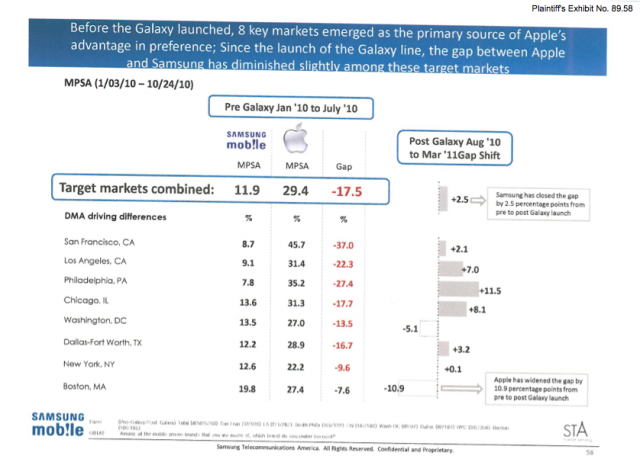 Follow-up research showed improvement by Samsung in most of the markets by March 2011, though it lost further ground in Boston and Washington DC and gained just 0.1 percent market share in New York City. It’s not much of a surprise that San Francisco showed up as Apple’s best-performing city, since it is close to the company’s headquarters in Cupertino and is known for favoring its products. In 2010, Philadelphia was Apple’s second-best market with 35.2 percent share compared to Samsung’s 7.8 percent. However, Philadelphia was also the site of Samsung’s largest success in March 2011, as the company succeeded in closing the gap by 11.5 percent. Apple is asking for more than $2.5 billion in damages from Samsung. The company had previously offered a patent license to Samsung of $30 per smartphone and $40 per tablet, though that deal reportedly did not include the licenses for the iPhone’s unique interface.